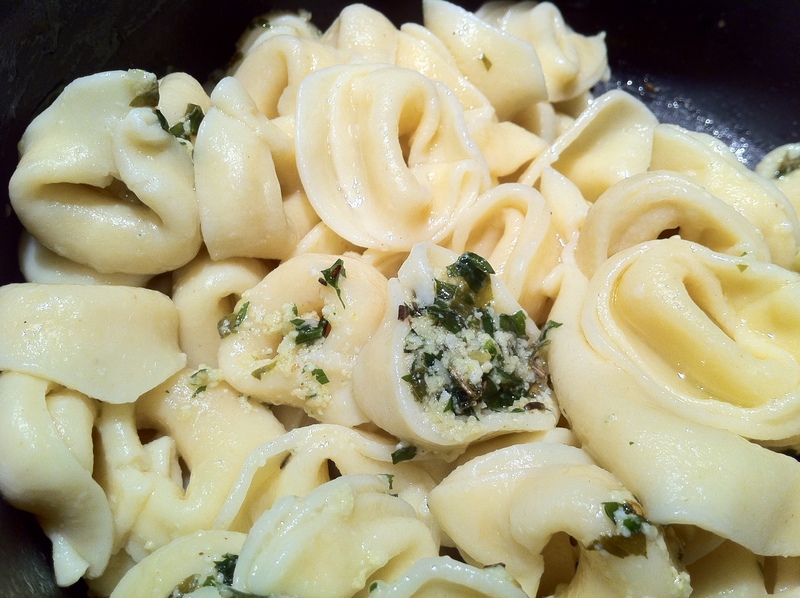 I did this take on tortellini for a potluck lunch at work. 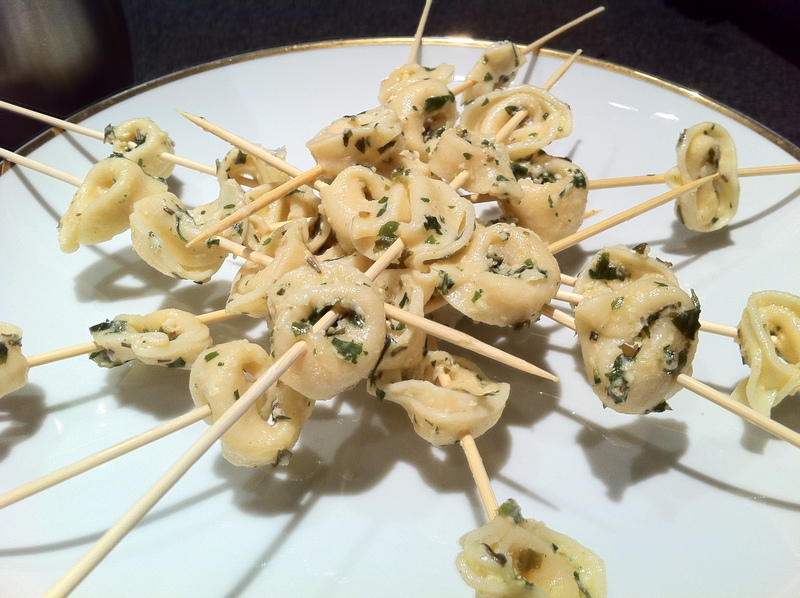 Its fun and easy and people just really loved the skewers haha. 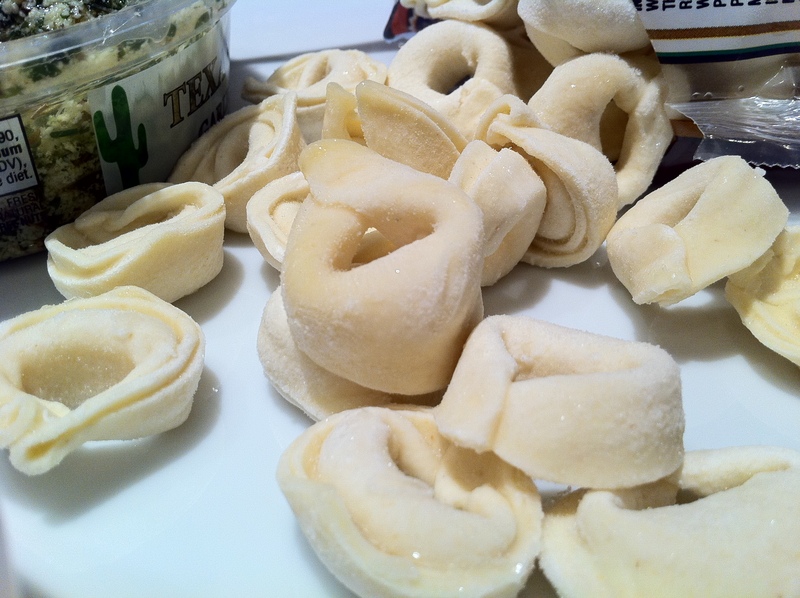 Boil the tortellini like normal. 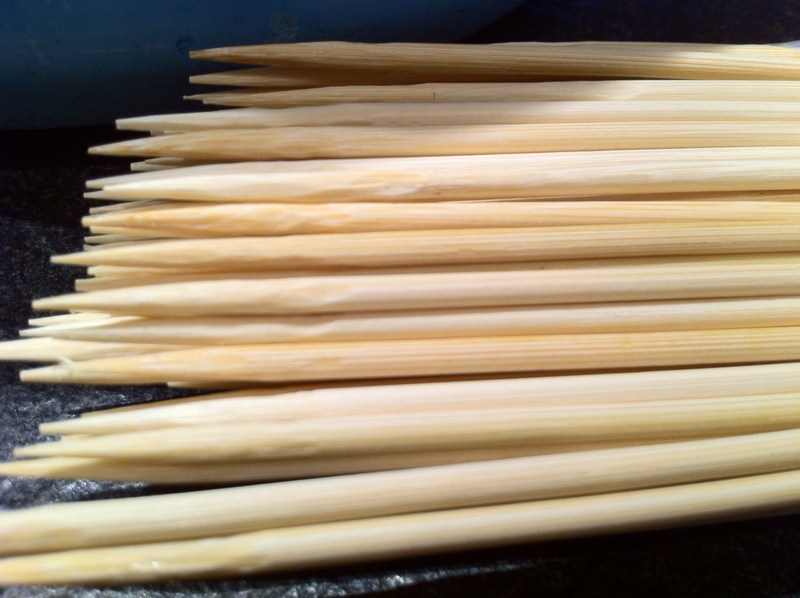 Don’t let them get too soft or they will fall off of the skewer. 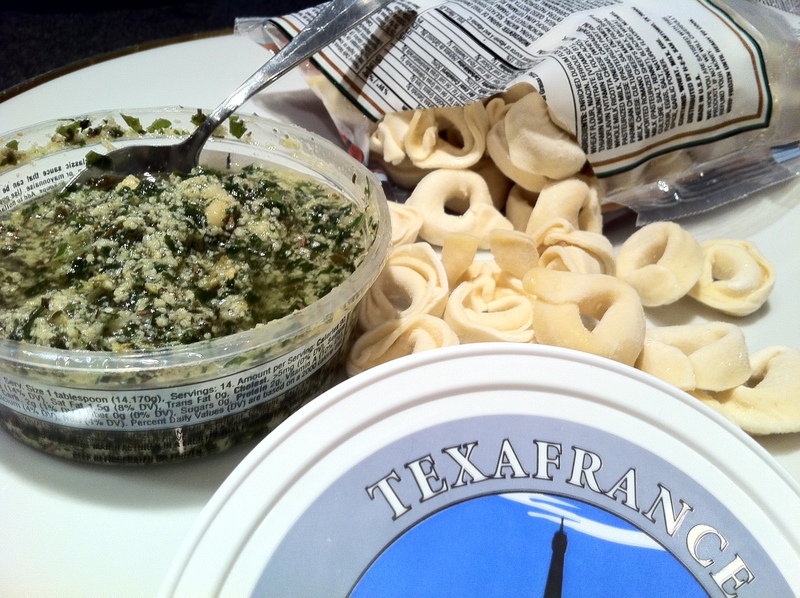 Drain tortellini and mix in several spoonfuls of pesto. 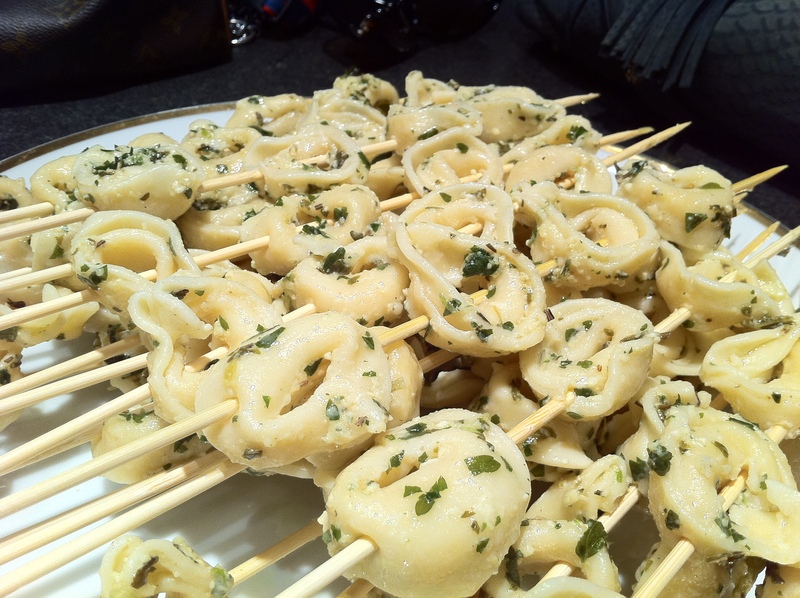 Start sliding the tortellini onto the skewers. I put 3-4 on each skewer. Place onto a platter. I tried to arrange these in a circular fashion at first but it looked really messy so I went with placing them all the same way and it looked much better. 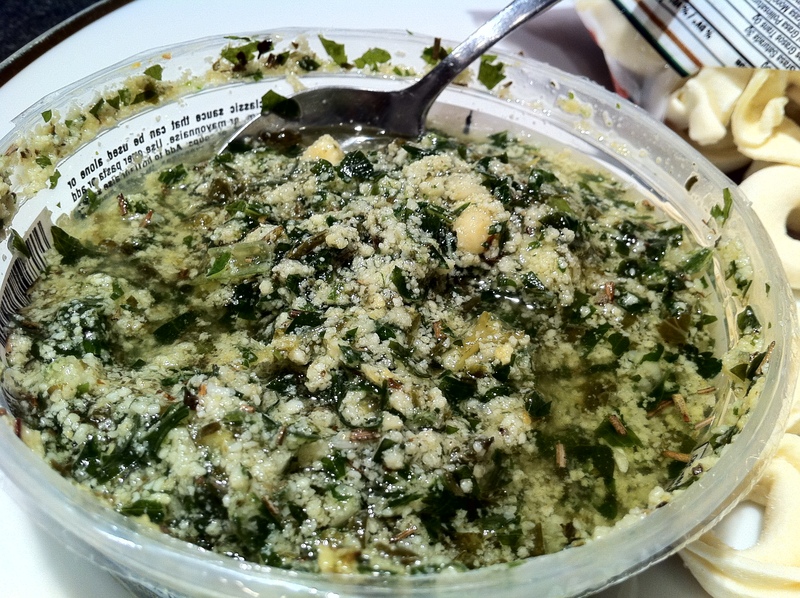 You can make it the night before and put in the fridge and serve cold the next day! The whole thing costs less than $10!